It’s Chinese New Year, a time for feasting. But children beware, a hungry beast is looking for you! 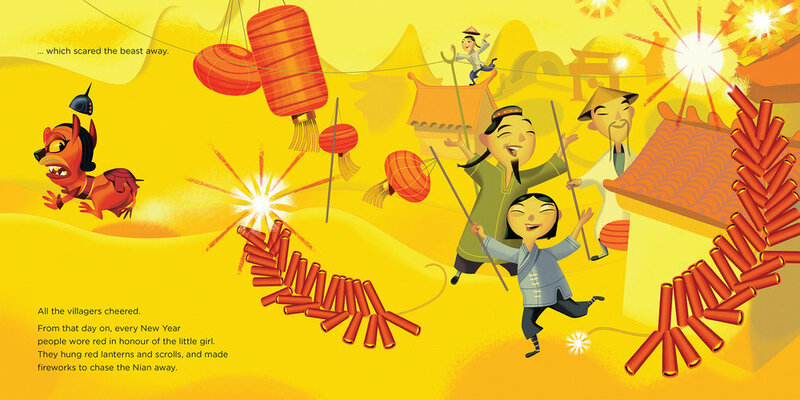 Join Dinner Detectives Clementine and Aksel in their first adventure as they travel back in time and around the world to uncover magical stories behind why Chinese eat dumplings at New Year. Then celebrate with your own bowl of Aunt Lily's delicious dumplings – yum! Find her easy-to-follow recipe inside. Double click the picture below to see inside the book!